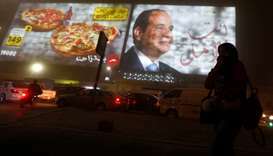 Egyptian President Abdel Fattah al-Sisi has been re-elected with 97 percent of votes, the same proportion that the former military commander secured four years ago for his first term but with a lower turnout, official results showed on Monday. 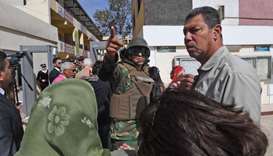 Egyptians headed to the polls Monday in a presidential election to choose between incumbent Abdel Fattah al-Sisi and a little-known politician who has struggled to make the case he is a serious contender. 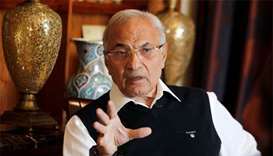 Ahmed Shafik, a former air force commander and government minister, has been seen as the strongest potential opponent of President Abdel Fattah al-Sisi, who is widely expected to run for a second term next year. The United States has decided to deny Egypt $95.7 million in aid and to delay a further $195 million because of its failure to make progress on respecting human rights and democratic norms, two sources familiar with the matter said on Tuesday. 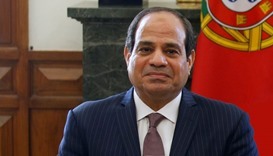 Egyptian President Abdel Fattah al-Sisi arrived in the United Arab Emirates on Wednesday for talks with top officials, state media said. 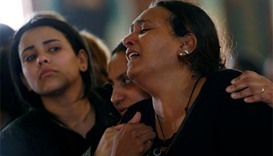 Egypt's parliament on Tuesday unanimously approved a three-month state of emergency declared by President Abdel Fattah al-Sisi after deadly church bombings, state-run Nile News television reported. 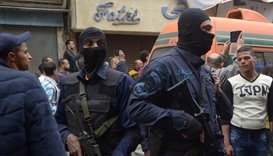 Egypt's President Abdel Fattah al-Sisi ordered military troops be deployed across the country on Sunday, his office said in a statement, after 43 people were killed in bomb attacks on two churches. 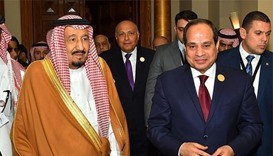 Saudi Arabia's King Salman has invited Egyptian President Abdel Fattah al-Sisi to visit his country, a public show of good relations following months of tension between the Arab world's most populous state and its richest. 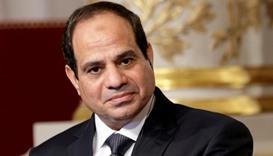 Egyptian President Abdel Fattah al-Sisi will reshuffle his cabinet soon, he told state newspapers in an interview published on Tuesday. Egyptian President Abdel Fattah al-Sisi has said he supports the Syrian military, a position at odds with that of countries like Saudi Arabia. Egyptian state television said on Wednesday it had sacked its head of news after an old interview with President Abdel Fattah al-Sisi was screened in error.